Editions in French on France. See also the page on Paris. There is also a page on editions in English. Apart from Paris, there were no books on France in German. 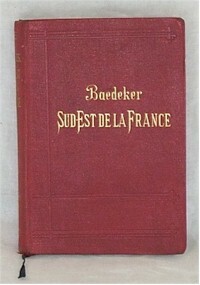 France was well covered through these editions, which eventually divided the country in four parts (after all, France is the biggest country in Europe outside Russia). The earlier editions in French are not so easy to get hold of, especially, it seems, those on the Centre.